The issues related to food science and authentication are of particular importance for researchers, consumers and regulatory entities. The need to guarantee quality foodstuff – where the word "quality" encompasses many different meanings, including e.g. nutritional value, safety of use, absence of alteration and adulterations, genuineness, typicalness, etc. – has led researchers to look for increasingly effective tools to investigate and deal with food chemistry problems. As even the simplest food is a complex matrix, the way to investigate its chemistry cannot be other than multivariate. 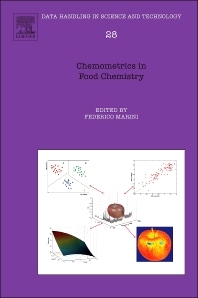 Therefore, chemometrics is a necessary and powerful tool for the field of food analysis and control.